Everyone loves a classic peanut butter and jelly sandwich! 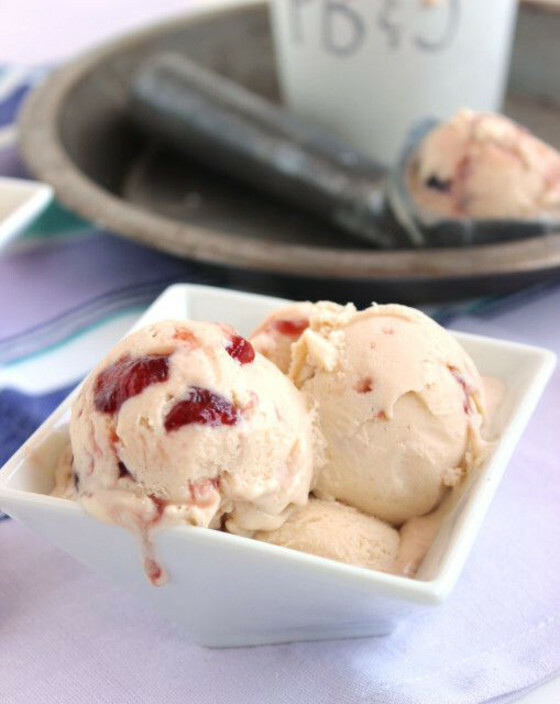 In fact, most people love other peanut butter and and jelly flavoured foods, drinks, and desserts as well because it’s such a deliciously classic flavour. If you ask us, there’s no such thing as too much PBJ! Check out these deliciously unique peanut butter and jelly recipes that will have you heading out the door for a new jar of peanut butter right away. 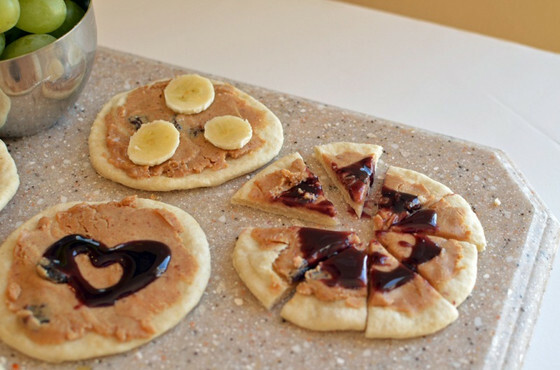 Super Healthy Kids shows you how to make PBJ “pizzas” that will let your kids have fun constructing their own fun DIY lunch! They’ll also be excited about the idea of getting “pizza” as their meal, even though these are really made with healthy whole wheat pitas. Peanut butter, grape jelly, and deliciously sweet, rich fudge. The three are a match made in heaven and you’ll just keep reaching for more no matter how rich they are! Martha Stewart has the recipe for you. 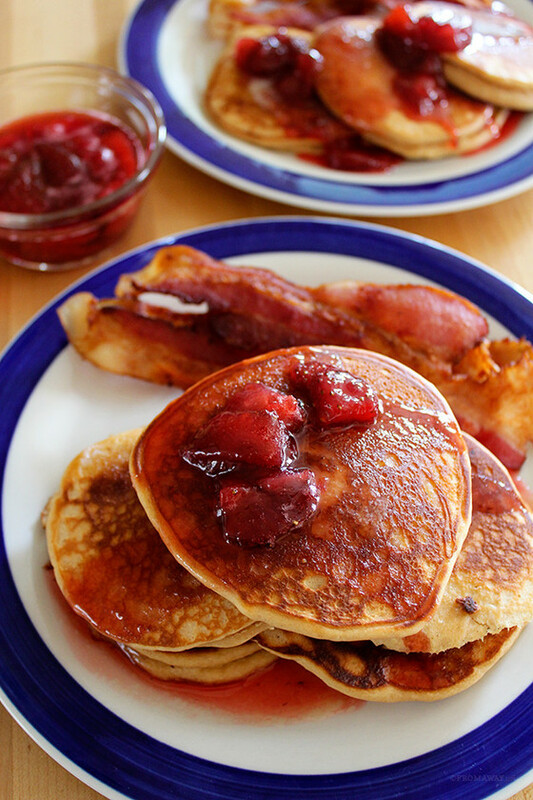 Whether you spread both toppings on top or actually layer two pancakes together like a sandwich, this PBJ pancakes recipe from From Away will have your mouth watering and your tummy rumbling. Having a healthy smoothie in the morning doesn’t have to be a tasteless, unenjoyable experience! 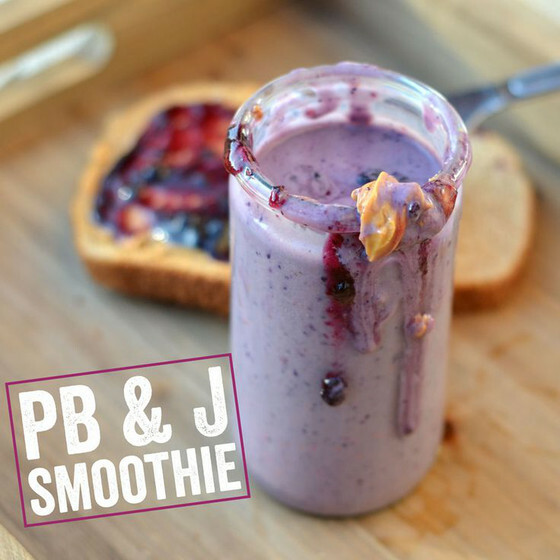 Fit Foodie Finds shows you how to make a tasty, filling protein smoothie that tastes just like peanut butter and jelly… because that’s exactly what’s in it! A Peek Into My Paradise offers up a recipe that makes us hungry just talking about it. 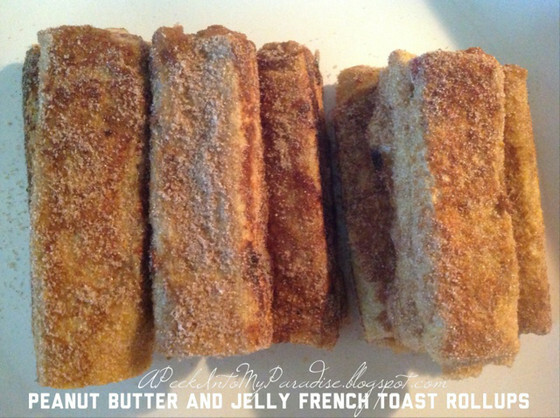 Besides incorporating the delicious taste of PBJ it also involves French toast! These little roll ups are like a perfect mashup of every kids’ favourite foods, but they’re not so crazy that you can’t realistically eat them as a proper adult too. We’re glad about it! We’re really big fans of mashup snacks. These are foods that combine two of our favourite foods in one place in a unique way. 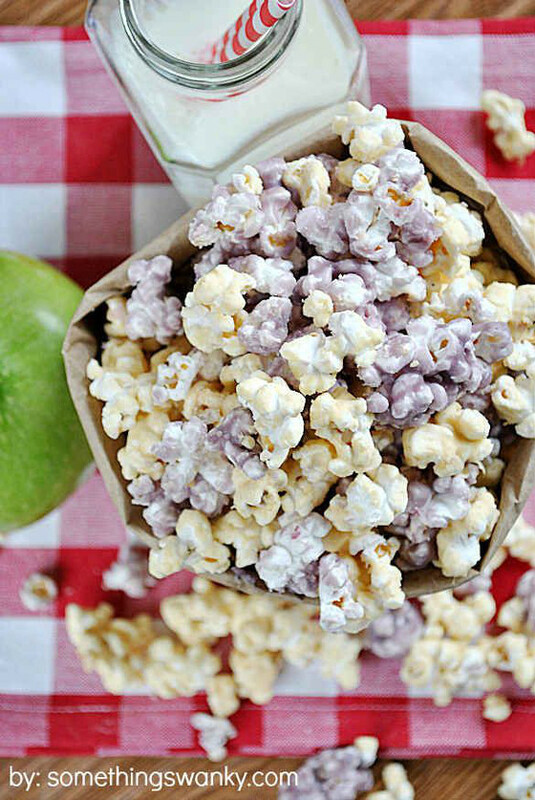 Well, ladies and gentlemen, this PBJ popcorn recipe by Something Swanky might actually be the best mashup recipe we’ve ever come across! Talk about combining salty and sweet in an interesting way. Pillsbury Once again, we present to you and awesome mashup recipe that involves your favourite ingredients: P, B, and J! Are these delicious treats a cookie? Are they a pie? You’ll just have to make them to find out! 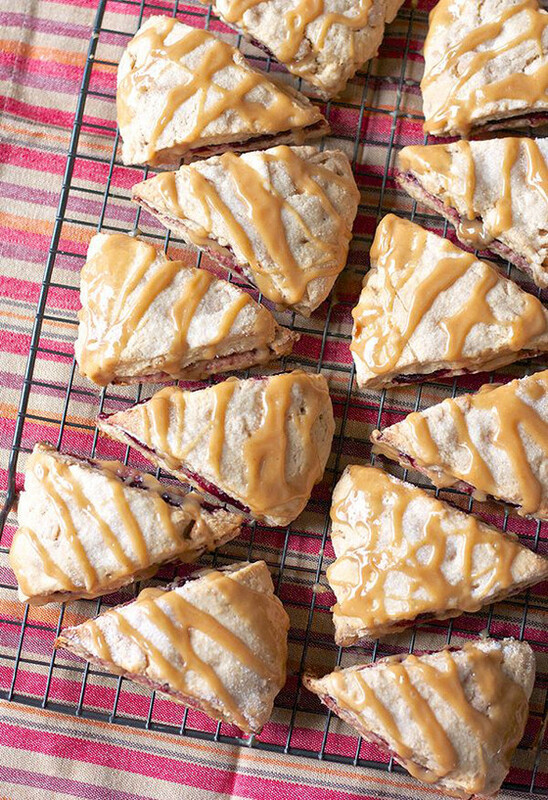 Erica’s Sweet Tooth shows you how to make these deliciously filling scones that are filled with your favourite grape jelly on the inside and then drizzles with melted peanut butter on top. 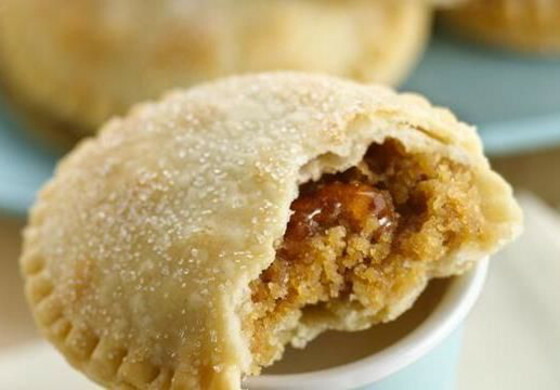 Some people might find them a little bit sweet as a breakfast item, but we think they’d be irresistible any time of the day, warmed up and gooey. Are you looking for ways to make lunch fun so that your kids sit through the whole meal? 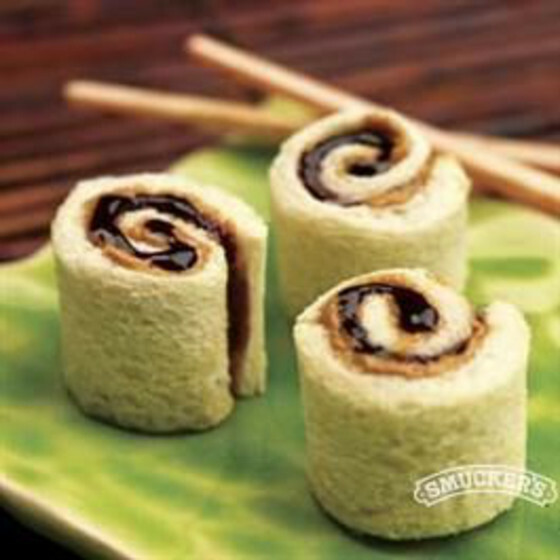 Try switching out their plain old peanut butter and jelly sandwiches for these PBJ “sushi” rolls by Smuckers! These are also actually a great opportunity to teach kids how to use chopsticks before you try taking them for real sushi. You’ve got peanut butter in the cupcake batter and the icing, and you’ve also got jelly in the middle of the cupcake and dropped on top like a cherry. 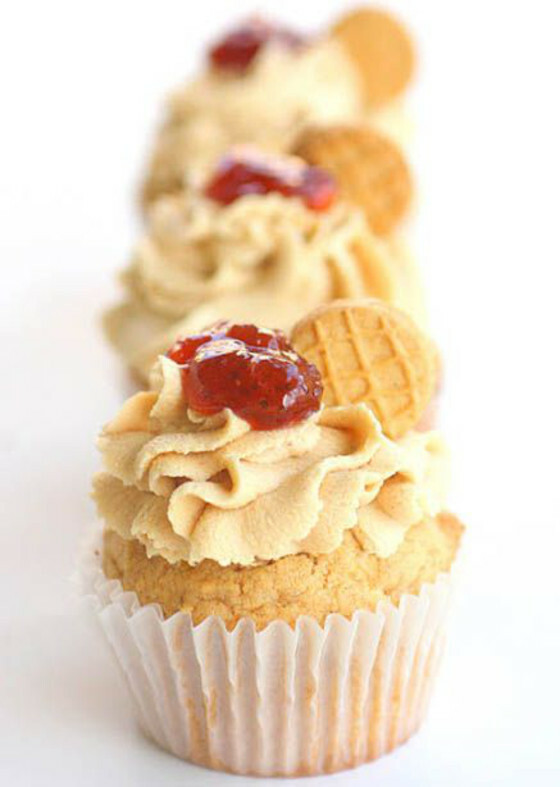 These PBJ cupcakes by The Girl Who Ate Everything officially have everything you need. 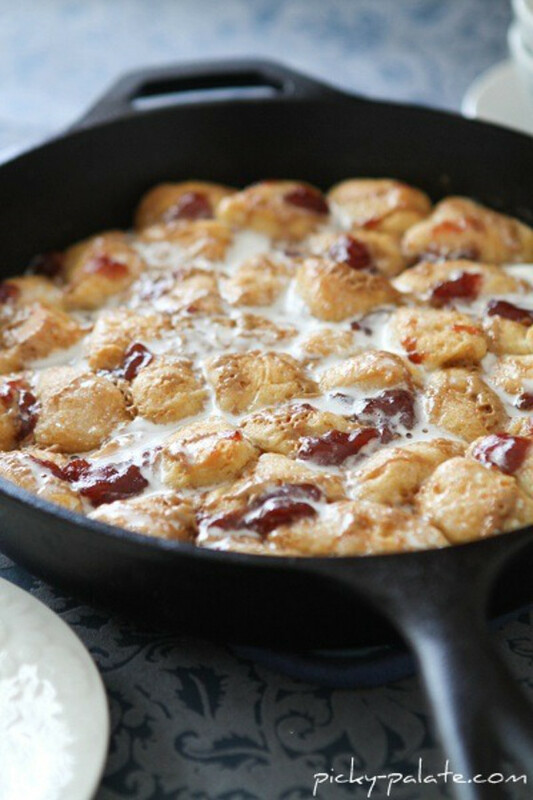 Picky Palate shows you how to make sticky, pull-apart monkey bread in a skillet, obviously featuring peanut butter and jelly like everything else on our list! Serve it warm so it peels apart all gooey and delicious. 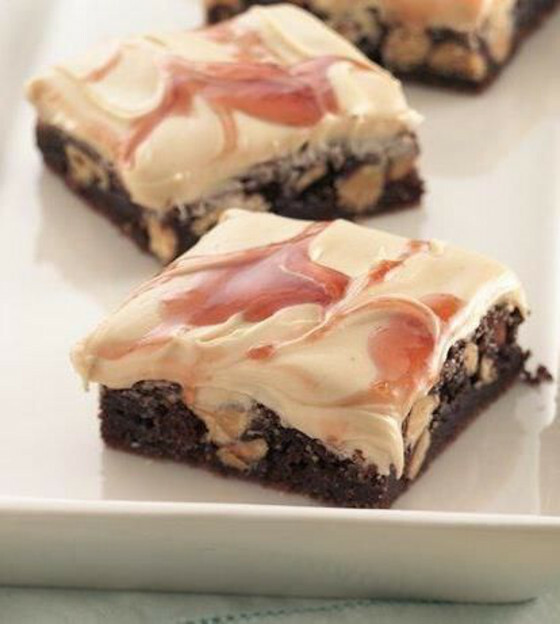 Just in case regular brownies weren’t a delicious enough treat for you, Betty Crocker has this absolutely delectable peanut butter and jelly brownie recipe, and we’ve never seen anything quite so tempting. Just make sure you have a big glass of milk or water nearby, because between the chocolate and the peanut butter, these babies are rich! Particularly when you’re dealing with very flavourful tastes, bite sized portions and and mini desserts become less of a novelty and more of a convenience. After a full meal, your guests will definitely want to try your PBJ pie, but a whole slice might be a little too much. 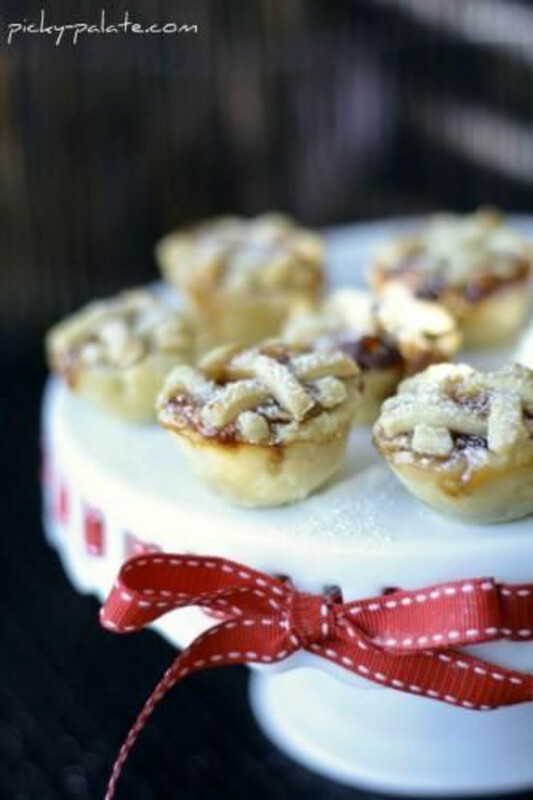 That’s where Picky Palate‘s baby lattice pies save the day! That’s right, The Suburban Soap Box teaches you not only how to make your own ice cream, but how to make it with peanut butter and jelly! What more could we ask for from one tutorial? 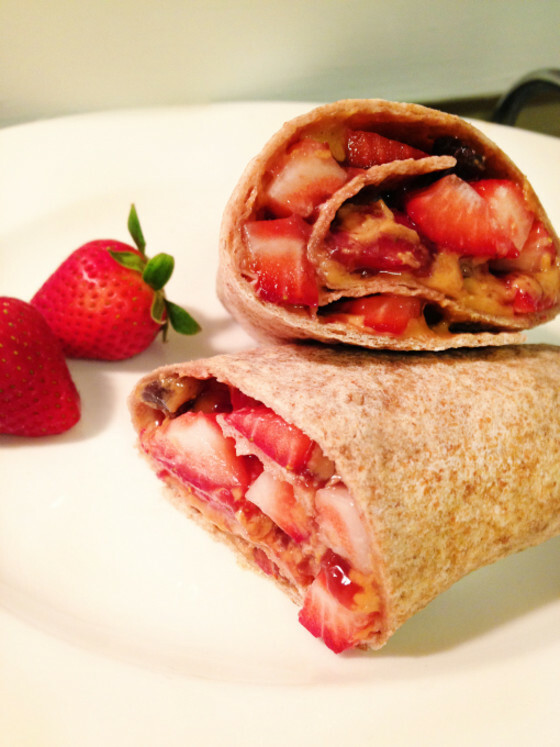 The Kitchen Creative If you’re trying to eat a little less bread each day but you’re missing your favourite PBJ taste, replace the bread slices with a healthier whole wheat tortilla wrap instead. This picture features an adventurous recipe indeed- they added strawberries! 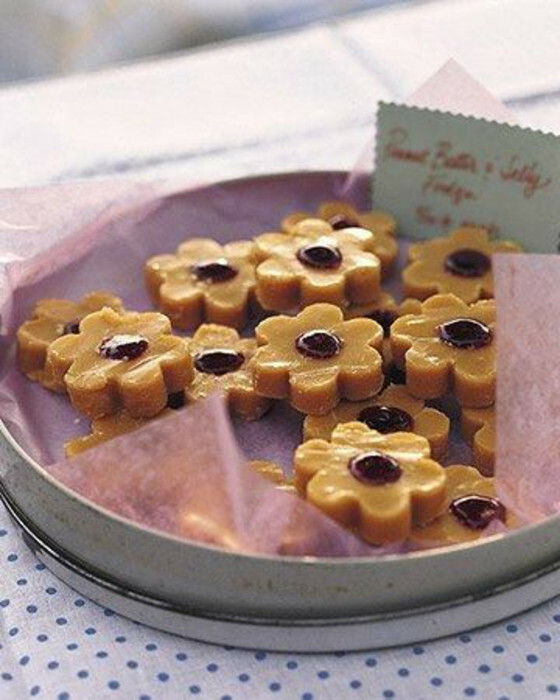 Do you have another favourite but unconventional peanut butter and jelly recipe that you don’t see on our list? Tell us about it in the comments section!